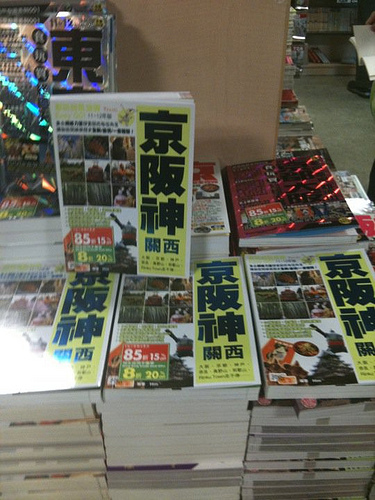 Taiwan is famous for its book scene. I seldom see Hong Kong people holding a book in subways, buses, coffee houses or restaurants anymore. Instead, we fiddle with our blackberries, smart phones, PSPs and NDS whenever we go. Even if you think the launch of Kindle and iPad will re-ignite our passion of reading electronically, I often see people reading online newspapers, magazines and comic books instead. Well, to be fair I do think having the proper infrastructure does play a big part in cultivating the reading phenomenon in Taiwan. The city is filled with gynormous-sized book stores that open way into the night. 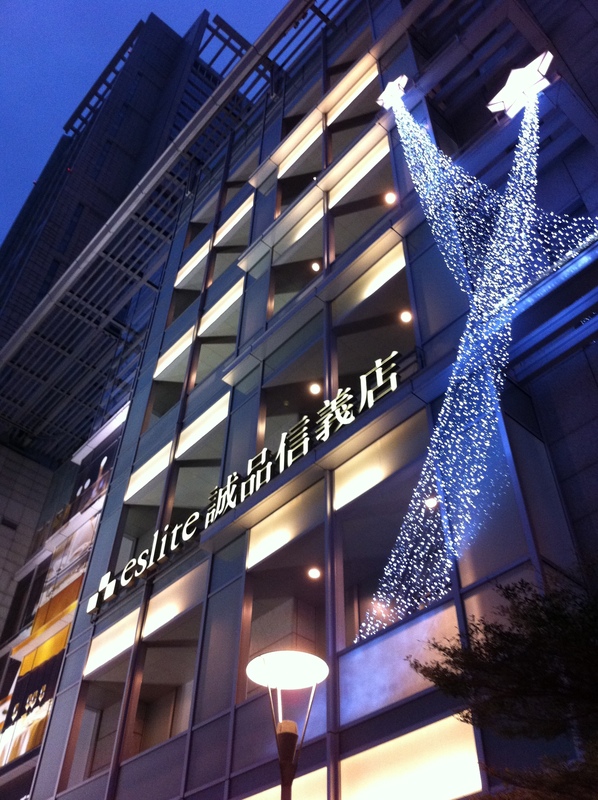 The stores are cozily decorated, quiet and artfully displayed. There is plenty of seating, and flipping through every page of the book for hours in a row is not frowned upon. 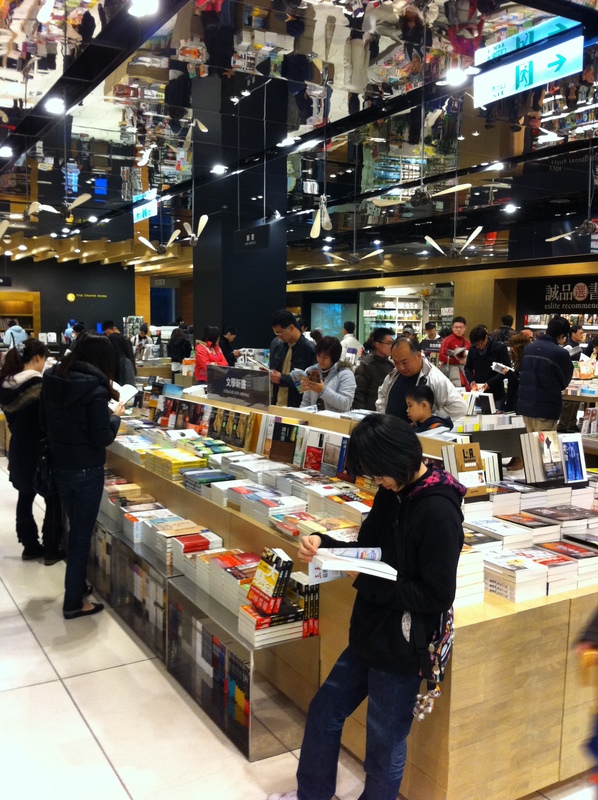 The stores look more like libraries instead of commercial sales points in Hong Kong. The latter, is definitely not an enjoyable experience. 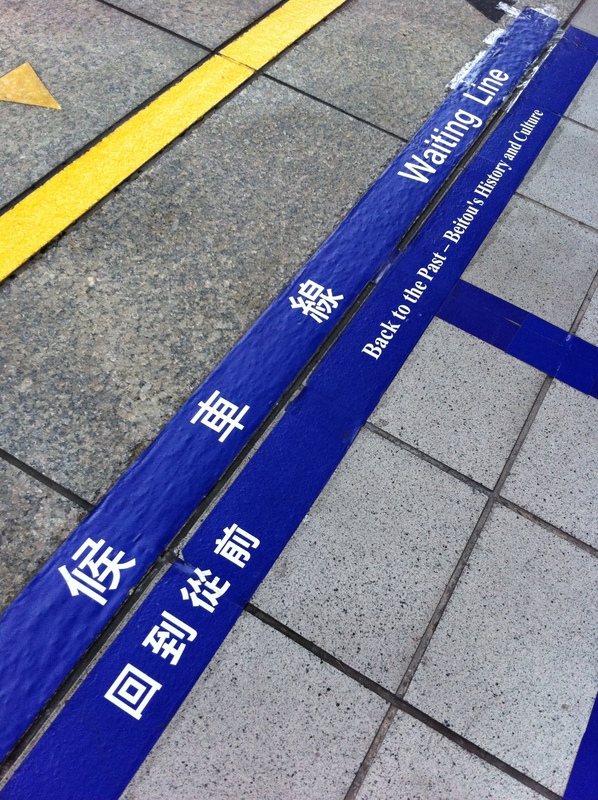 No wonder Hong Kong people do not find reading pleasurable. I am quite impressed. Most titles I come across center around self-improvement, emotional quotient and living well-balanced and full lives. Bravo. 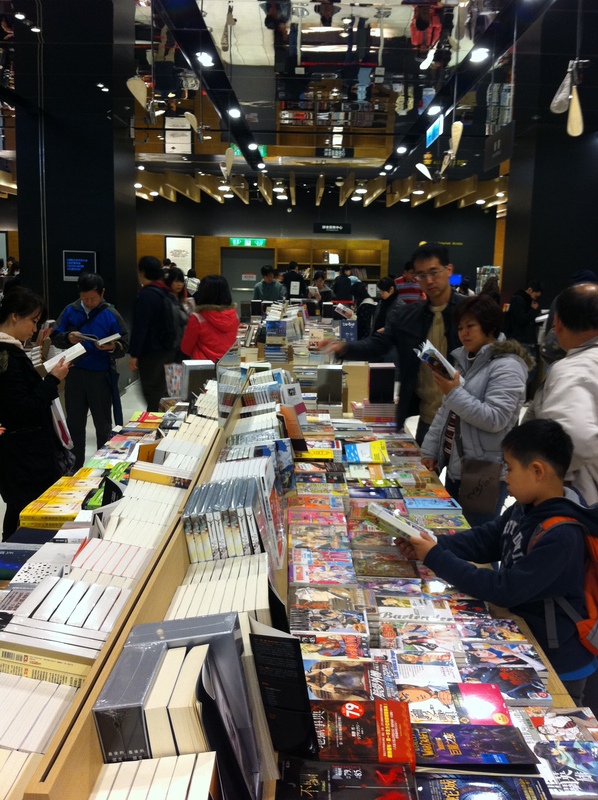 So what are some of Hong Kong’s bestselling Chinese titles? This is the fast food reading culture of Hong Kong. We are all too goal-oriented, as if there has to be a definitive purpose to pick up a book and read. It’s good that we like to be informed and knowledgeable at all times, but reading 698 pages of Eat+Play+Buy travel guides is not going to do yourself too much good when you find yourself exhausted running around a foreign city like a maniac. The how-to guides are necessary evils but should be tamed down a notch. I seldom hear people make good money from reading those get-rich guides either. If we can all just pick up a handful of titles that are intriguing enough to our minds, I am confident this mental exercise we do will benefit us a whole lot more, and that may very well include living a positive life, maintaining healthy relationships and ultimately, building an emotional wealth that no money can buy. When I stepped into this hidden villa less than an hour away from the city, I was already impressed. 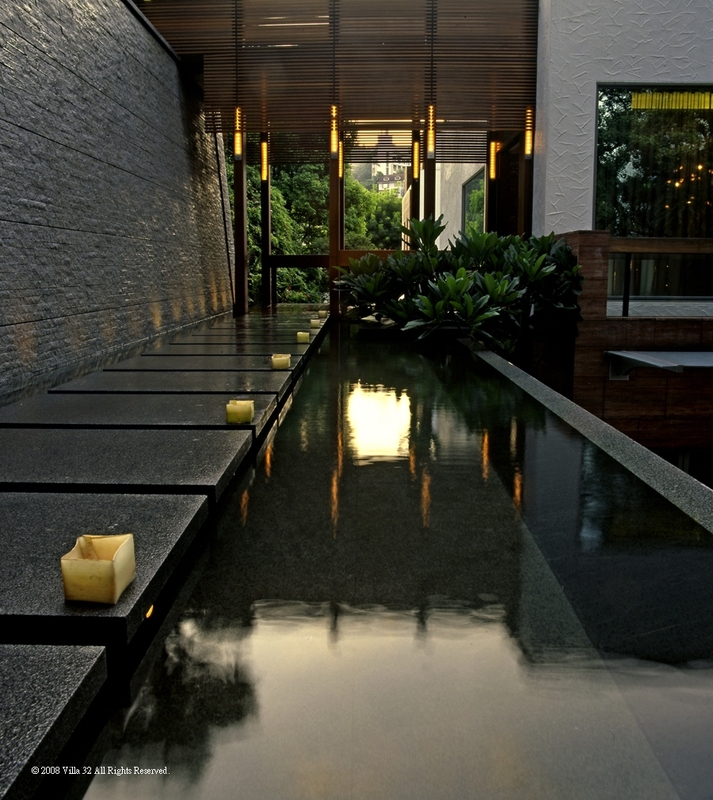 Listed as the “Hot List of The Year’s Top New Hotels” by Conde Nast Traveler in 2006, and rated as one of Asia’s best spas by CNNGo this year, one has to see it to believe it. The villa used to be reserved for private members only and now it’s available through advance reservations. Amazingly, the moment I entered the villa, all their staff, including their security guards out front, greeted me by my surname. How do they do it? I have only experienced similar treatments in Mandarin Oriental and Trident Gurgaon, India, which costs a whole lot more fortune to say the least. The villa has 5 suites for overnight stays, and that screams exclusivity. 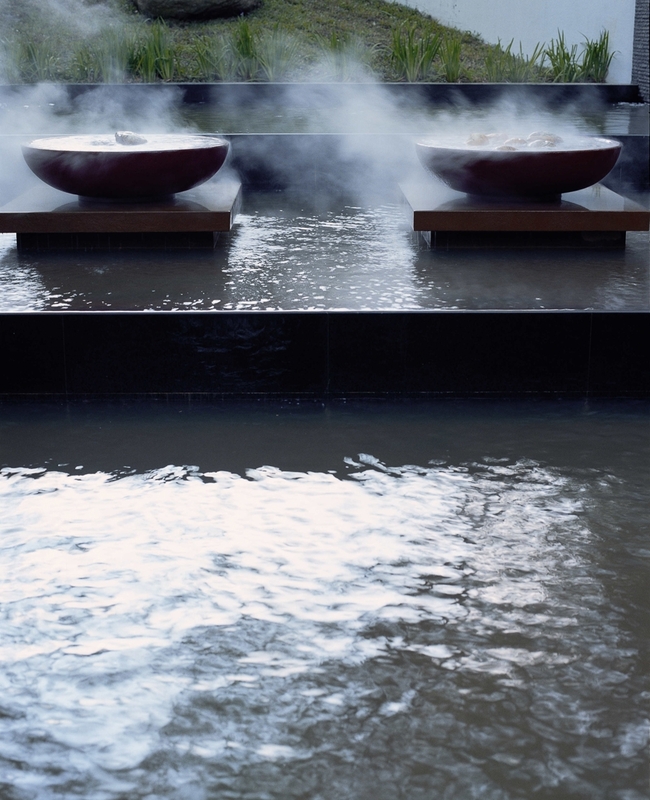 There are 5 other private rooms for hot springs, public pools separated between male and female, one Italian restaurant, and a spa catered for everything in between Chinese meridien treatments, skin care, and toxin relief programs. I signed myself up for the public pool access so that I can make it a grand finale of my Taipei getaway trip. 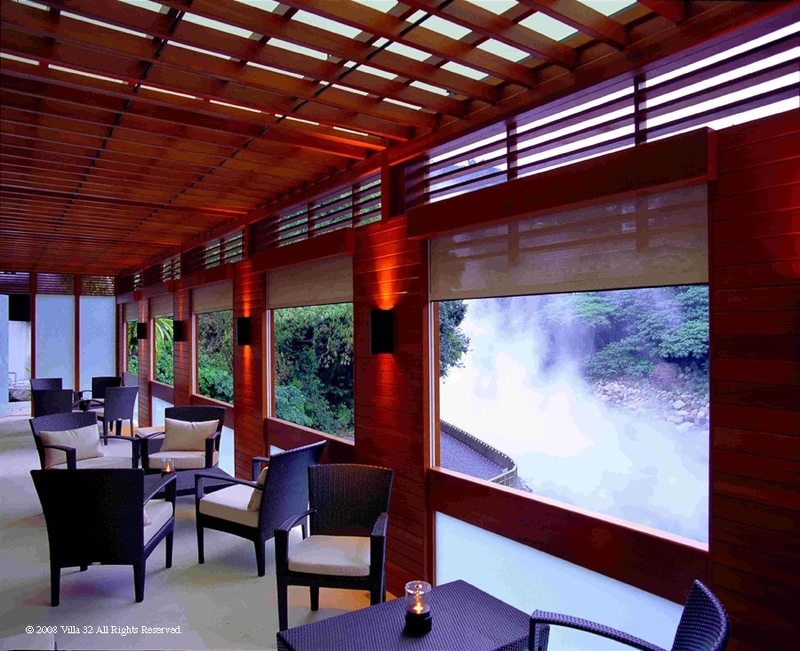 Like hot springs developments in Japan, there are a number of similar establishments in Beitou. I was recommended by a good friend of mine to experience this villa due to its exclusiveness and tranquility amongst the neighbors. The reason why advance reservations are required is for the villa to manage no more than 30 guests in the public pool area at any one time. Yes, 30. The result? I hardly saw more than 10 guests during my 4-hour stay. No kids under 16 years of age are allowed, and the facilities are all top-notch. I can really tell that the owner has put in tons of money designing, building, and maintaining the property similar to a Bali-like facility. 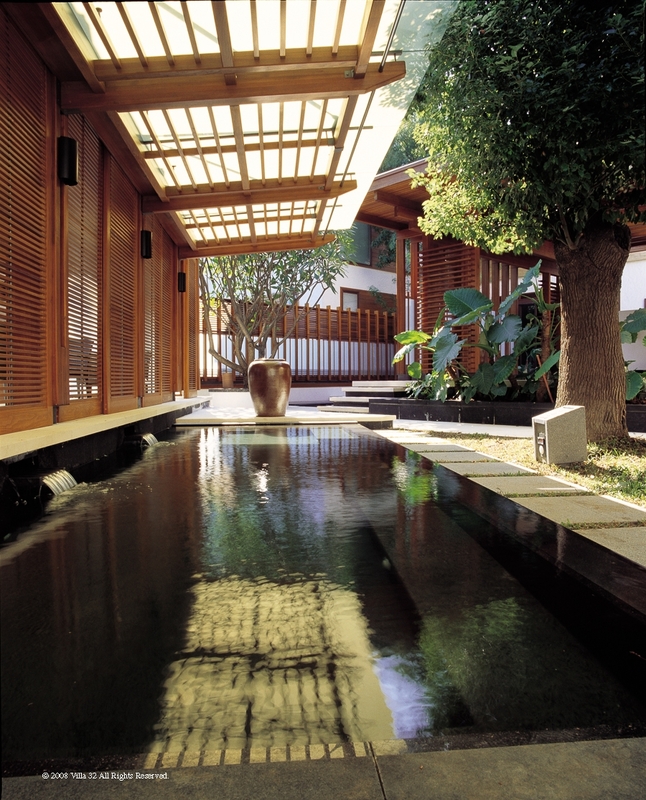 There are lots of wood, stone, fountain and greenery everywhere. There is nothing better than soaking yourself in 42.5 degrees outdoor baths on a chilly drizzling day. Since there were hardly anyone around other than the super attentive and courteous staff, I could hear the natural hot springs bubbling underneath the property, and I could witness the sky filled with hot springs steam, so much like I was in heaven. Indeed I really thought I had gone to heaven. 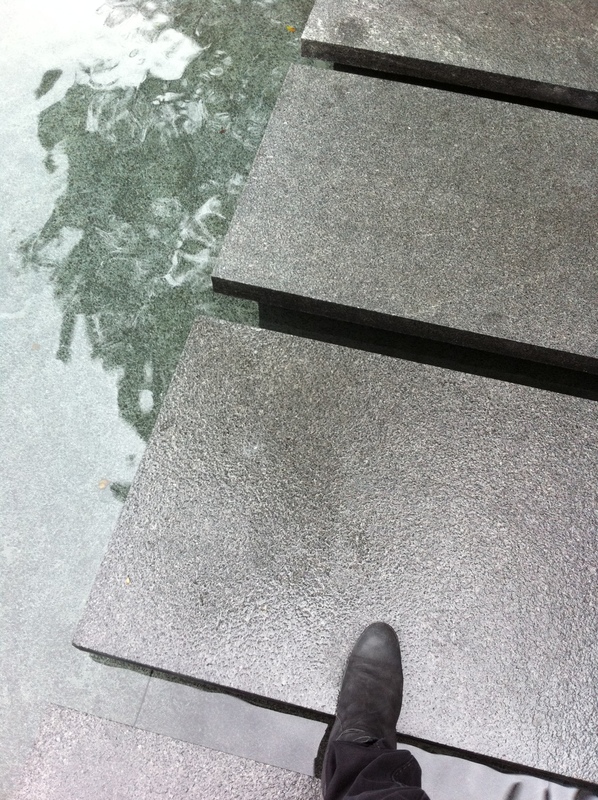 There were altogether 4 outdoor and 4 indoor pools, and I concentrated on soaking between the 2 hotter outdoor pools. My neck and shoulder pains were simply gone. The hot springs made my heart beat really fast, and for every 15 minutes or so I had to get up and lay down in comfortable lounges out on the porch. No doubt I was feeling a bit dizzy and pumped from all the blood circulation, and then I realized I was drunk! 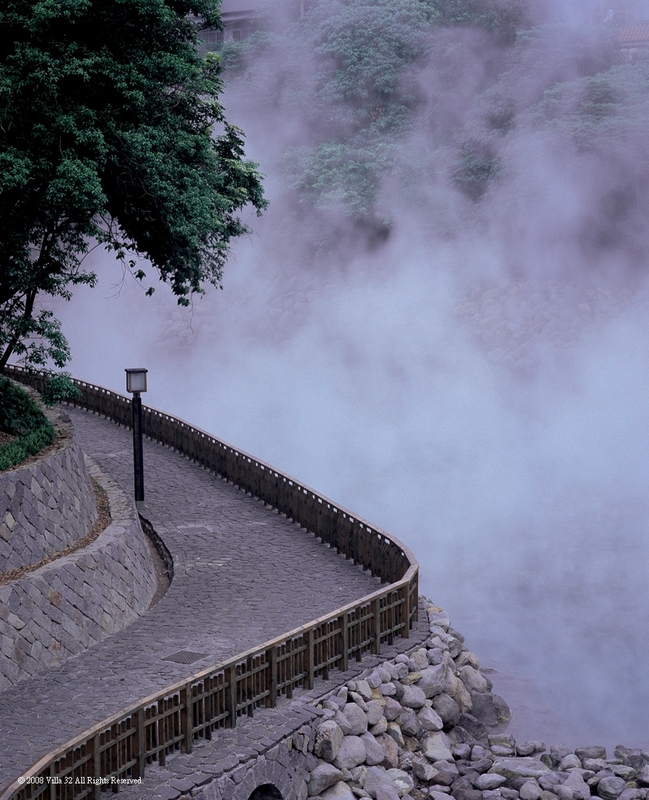 Not by alcohol, but by hot springs and the picturesque harmony of sounds and nature. There was a meditation room upstairs, and a resting area for guests to take a nap. When my hangover has slightly subsided, I made myself a cup of tea and relaxed myself in the cozy lounge area. Again, I hardly saw anyone else. I left with the biggest grin on my face, and the biggest weight off my shoulders. Though I hardly ate at all the whole day prior to the bath, I felt relieved, nurtured, pampered, and recharged. I would definitely visit again. Well, as if I need any more excuse to come back to beautiful Taipei. 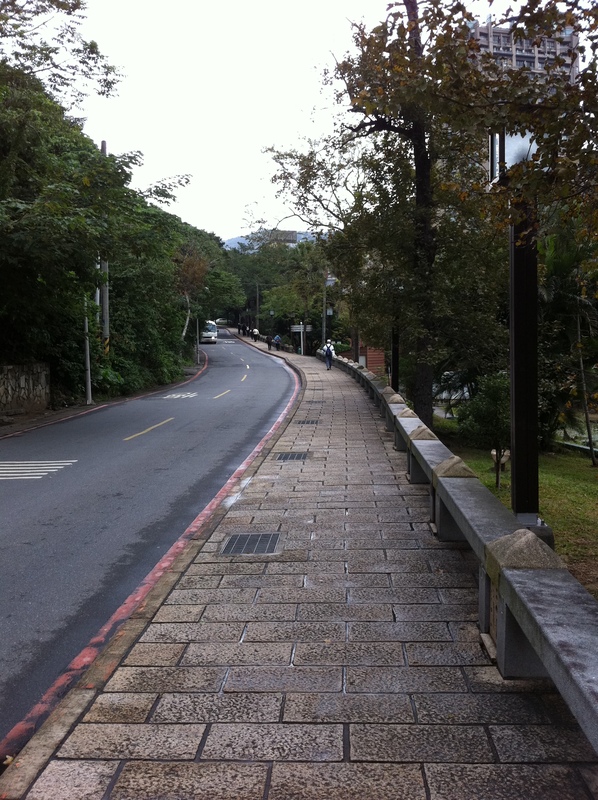 Taipei is a destination where I don’t mind traveling alone, similar to Bangkok. The two cities however are very different in the most obvious ways. Although I have been to Taipei both for business and leisure countless number of times, it’s been a year since my last visit to the city. I am here for 6 days which I think is the longest consecutive period that I have spent, and hence I have a lot of time to re-acquaint, chill, and take in what the city can offer. Though it’s always more enjoyable to savor a city’s cuisine with good friends, sometimes I just need to make do when the circumstances don’t allow this to happen. This time, I have skipped all the sightseeing activities and shopping. I have done my more than fair share of supporting our economy back home in the last 2 months, and the weak Hong Kong dollar is not making it much fun either. Instead, I am focusing all my energy in finding local food which I can sample myself, alone. And it’s not difficult at all, here in Taipei. 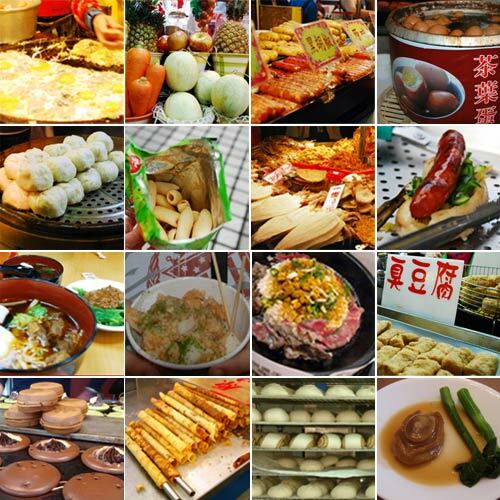 There are plenty of street side stores serving the most mouth-watering local delicacies, and I am not even talking about the ever delightable night markets. I can’t help but notice that none of these eateries operate like what we have in Hong Kong. They don’t serve 158 different dishes and 37 beverages. They hardly charge service fees, and they seldom change hands. Many stores have been in the same business and location for the past 40 years or more. Most of them stick to the same menu and sometimes even prices. They always sell what they are specialized in, and very often work on complementing their neighbors. I find it very refreshing, and at the same time sorry about the depressing food scene at home mainly due to exorbitant rental prices. I love to return to a simpler time when I can go back to the same place, eat the same food, meet the same owner, and be consistently satisfied in the same way. One dish, is all I need to remember them and to go back again and again. Maybe it’s a sign that I am really getting old, but I am always thankful to a city which has given me so much joy and comfort, both spiritually and gastronomically.